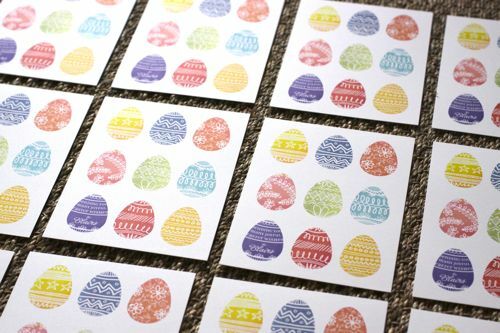 Thanks to Minted via Twitter I was informed that my winning Easter design had been featured on Gabrielle Blair's beautiful blog, Design Mom. 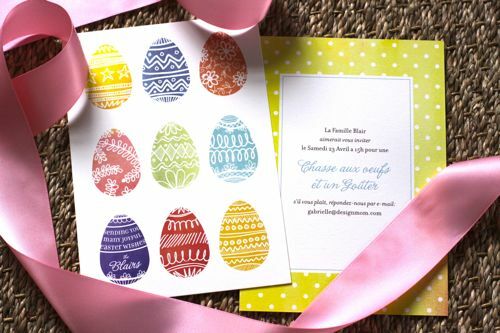 She worked with Minted to create a custom Easter party invitation out of the card by adding an area for text to the back. How smart is that?! I love how they look all laid out like this! Thanks so much for the write-up Design Mom!